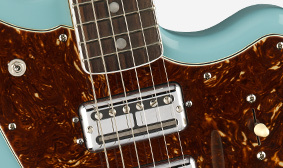 The nitrocellulose lacquer finish not only lets the body breathe with its true tonal character, it also ages in a distinctively personal way. 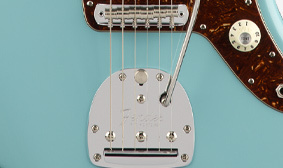 Designed and voiced specifically for the Triple Jazzmaster by pickup guru Tim Shaw, this calibrated pickup set sports sleek chrome Filter'Tron™ covers. 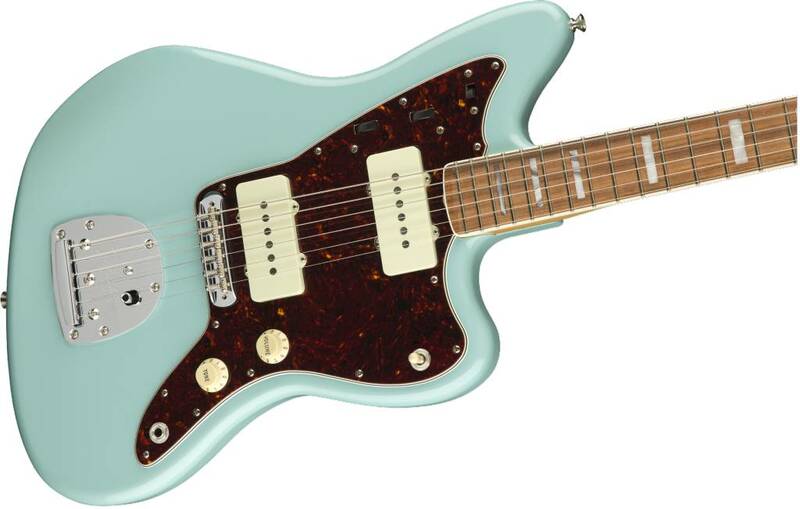 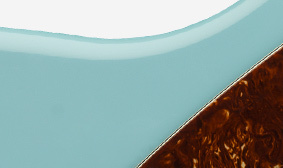 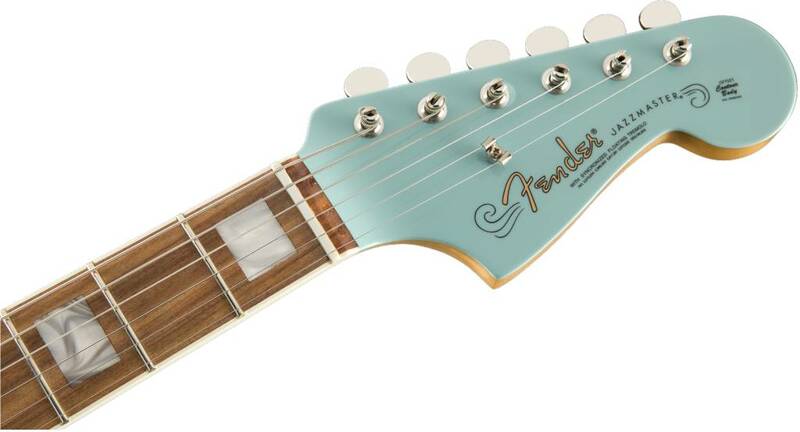 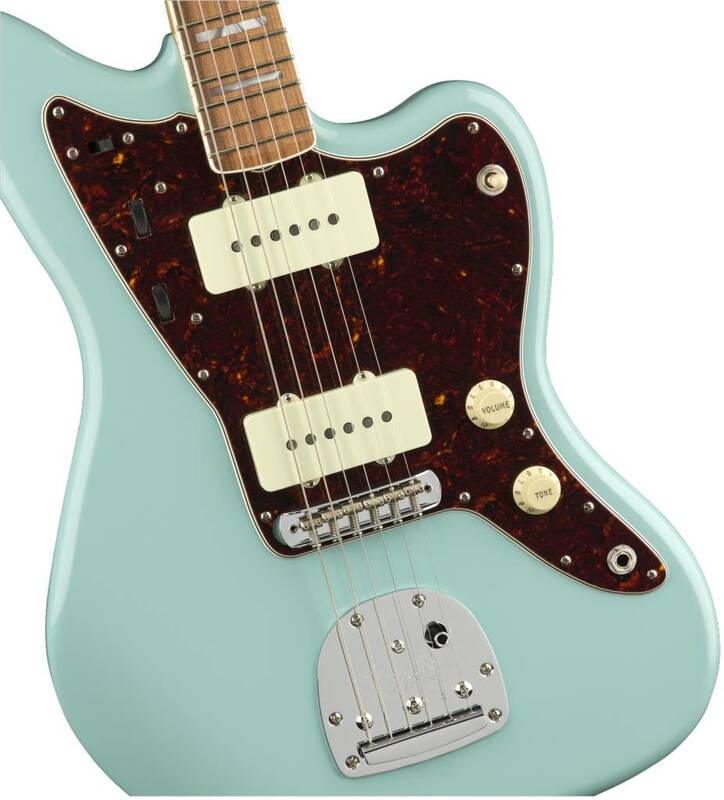 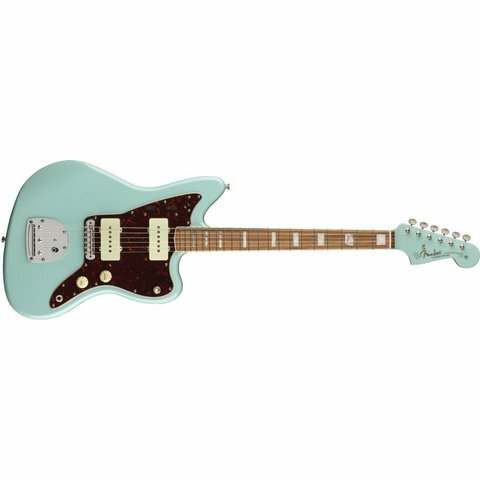 This 9.5"-radius fingerboard is slightly flatter than a vintage-style radius, providing a comfortable fret-hand feel. 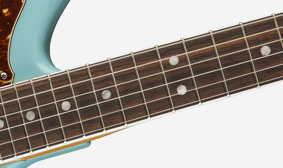 Narrow-tall frets make it easier to bend notes without fretting out. 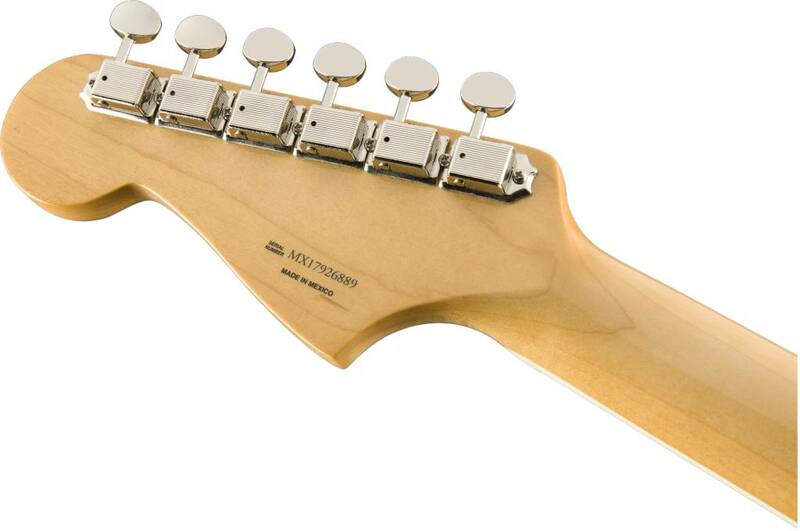 Engineered for ultra-stable performance, this bridge features brass Mustang saddles and a screw-in arm that lets you dial-in the perfect tension for you. 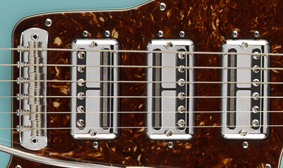 The Strat®-style 5-way pickup switch lets you access traditional Strat pickup configurations, while the mini-toggle switch activates the neck and bridge pickups simultaneously in position three. 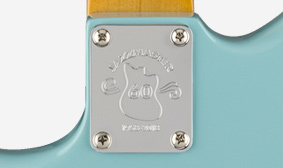 To commemorate the 60th anniversary of the Jazzmaster a limited edition 60th Anniversary Jazzmaster logo is etched into the neck plate.